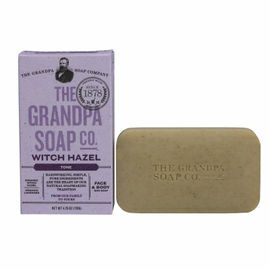 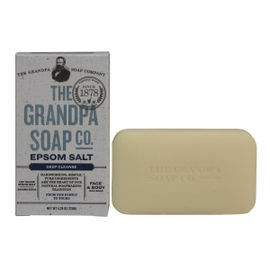 Grandpa's Charcoal Soap is a gentle soap for everyday use, ideal for detoxifying. 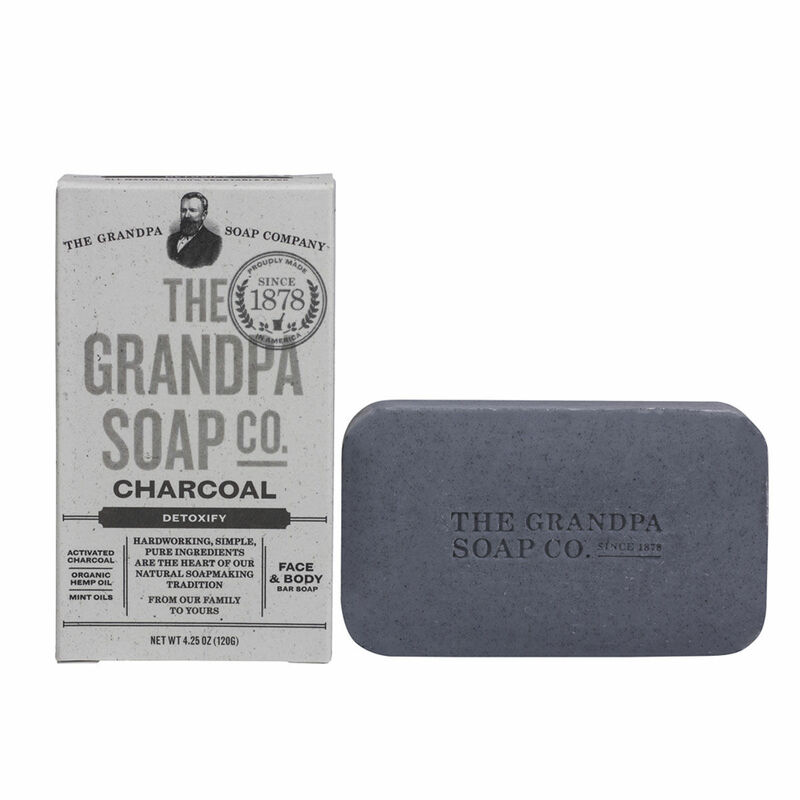 Steam-activated charcoal, paired with vitamin-rich organic hemp and mint oils, draws out dirt and toxins to free up congested pores and restore clarity to oily and combination skin. 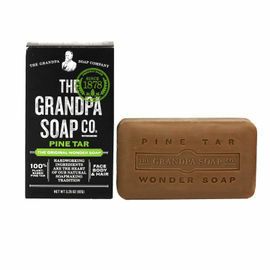 Ingredients: Sodium Palmate, Sodium Cocoate/Sodium Palm Kernelate, Water (Aqua), Glycerin, Mentha Arvensis Leaf Oil, Eucalyptus Globulus Leaf Oil, Mentha Piperita (Peppermint) Oil, Rosmarinus Officinalis (Rosemary) Leaf Oil, Mentha Viridis (Spearmint) Leaf Oil, Charcoal Powder, Carbon, Cannabis Sativa (Hemp) Seed Oil, Sodium Chloride, Sodium Gluconate, Citric Acid. 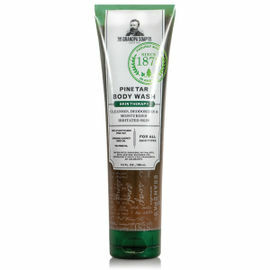 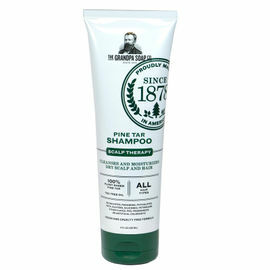 Contains no phthalates, sulfates, parabens, EDTA, glutens, animal by-products, artificial fragrances or colorants.